“The hand that rocks the cradle (moulds) the world”. A slight adaptation of the adage is not at all out of place when we think of the wonderful human being who has given us unconditional love from the time we began as a cluster of cells in her womb. There is no way we can repay all the sacrifice she has taken upon herself for our welfare. To allot one day to remember her and honor her is scarcely enough. At the same time we must take it as a day on which we express our love to her in some tangible way. Mothers’ day came into existence as a result of the efforts of one daughter to honor her mother and to extend the honor to all the mothers the world over. It was Anna Jarvis who decided that the mothers of the world deserve special consideration by her children at least for a day in a year. So the practice of making the mother happy on the mothers’ day became a must. You can take your mother to dinners and on tours or to any activity she loves. But giving her a token of your love is imperative. How to choose an apt gift for the person who has gifted life to you? Here are some ideas that may help. Jewelry is something that is appreciated by every lady. Your mother is not an exception. Choose a fabulous piece from the Murano glass jewelry. 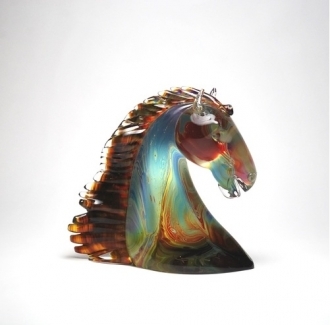 The components of these exquisite jewelry items are individually crafted by Murano glass masters. 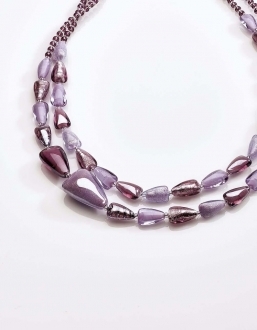 Each of the beads are carefully shaped and strung to form this Venetian glass necklace. It will adorn your mother’s neck snuggly reminding her of the loving hug you have given her as a child. This long black and gold Italian glass ornament is a fabulous creation which will enhance the beauty and elegance of a lady. 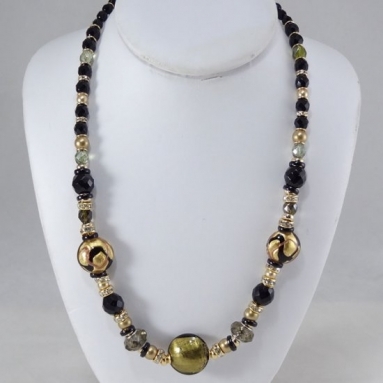 The beautiful faceted black beads reflect light as she moves about, creating a golden sheen around her neck. Your mother will surely love it. She can wear it for formal and informal occasions. 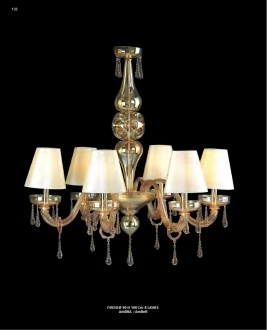 As a home maker your mother will love to decorate her house with beautiful and authentic Murano glass pieces. 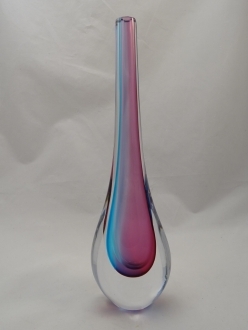 The magnificently shaped Murano glass center piece will be her pride. So choose one of these pieces for your mother on this mothers’ day. 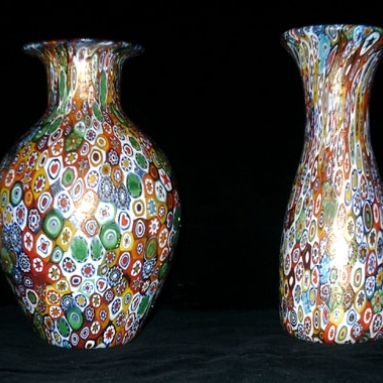 The Italian Murrine glass items are spectacular in their color and designs. 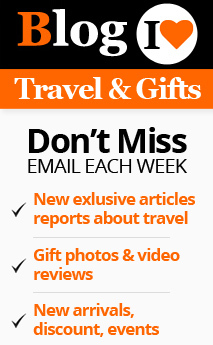 The murrine glass vases made by the traditional Murano glass artists are great gift articles. One piece on the side table of your drawing room will elevate your mother’s artistic status with her friends and guests. That is why she would adore you when you present one of these to her. 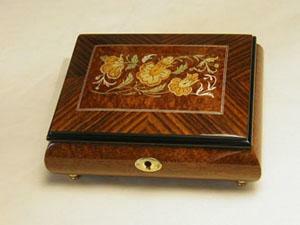 If your mother is a musical person she will surely appreciate a music trinket box. Choose a tune that will take her back to your childhood days. She will be enamored. Any mother would like to go back to the soft cuddly days when her children were babies. 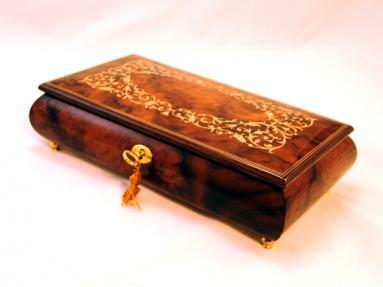 The Italian music boxes which are renowned for their natural wood finishes are rare collectors’ items. The natural burls of exotic woods render them a rare beauty. 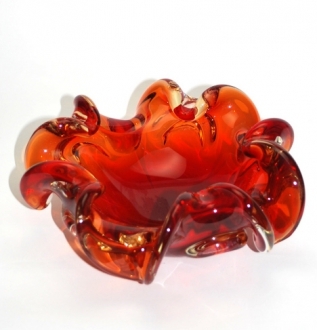 You can pack a beautiful Murano glass trinket in one of them and gift it to her. Prepare to enjoy the euphoric look on her face as she opens the music box to find the precious orna ment with the accompaniment of a nostalgic tune. Limoges boxes are much celebrated gift articles. The fact that each box is handmade and hand painted individually makes it unique. They are as unique as your mother, one in a million. 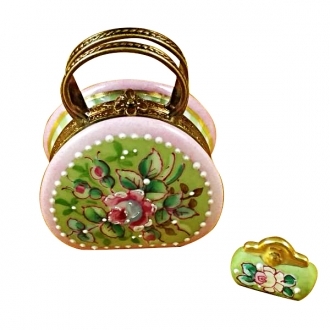 What else is suitable for a mother who is so special, other than one of these authentic Limoges boxes? She can keep her keep-sakes in it. She can even keep it on her kitchen table to contain small articles on her table. She can also keep her trinkets on her dressing table.